Our helicopter is circling above a red volcanic crater that resembles the surface of Mars, before swooping down towards waterfalls and past mist-shrouded green mountains that seem almost prehistoric. In fact, Maui’s Hana Coast was used as a location for Jurassic Park, and like all the Hawaiian islands, this is a land of contrasts. 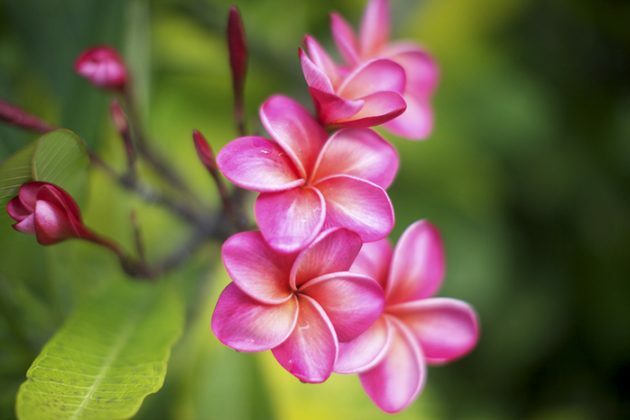 Yes there are beaches with splendid sweeps of sand and surf, and the scent of frangipani fills the air. But there’s also the rainforest, where you can trek for hours and shower under waterfalls; plus the volcanoes. 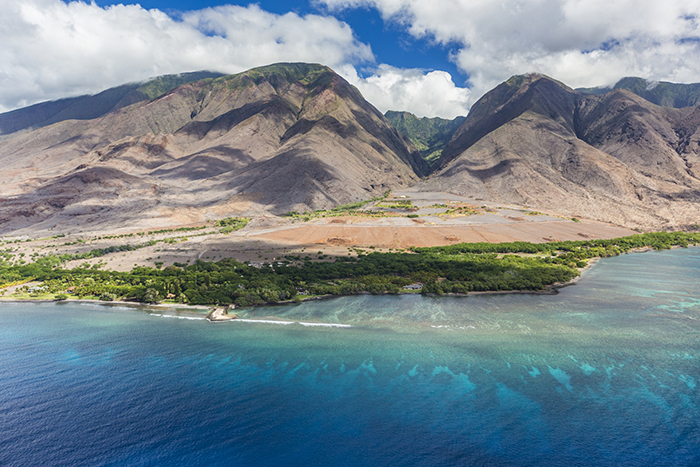 And that’s what makes the Hawaiian islands so perfect for a stay-and-cruise. Start off in O’ahu, home to Waikiki Beach, before joining a cruise round the islands and you’ll be experiencing the best of all possible worlds. It’s an intoxicating blend of Polynesian and US culture, making it utterly irresistible. Home to Waikiki Beach and Diamond Head, this is the island to base yourself for your Hawaii stay-and-cruise. 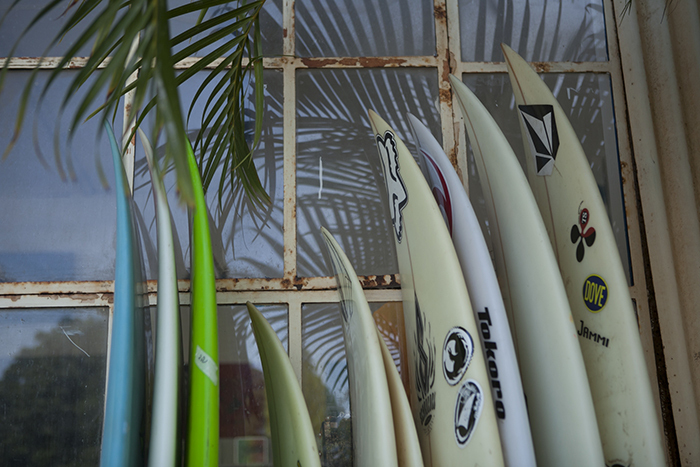 Choose a hotel in Waikiki and you’ll be close to the glorious beach with its surfers and seductive laidback lifestyle. 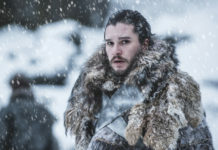 Must-sees include the ‘Iolani Palace, the former royal residence of the rulers of the Kingdom of Hawaii; the North Shore, which attracts surfers from all over the world; and Kualoa Ranch, the setting for Lost and numerous movies. A visit to Pearl Harbor is an unforgettable, sobering experience, although you do need to book well in advance if you’re planning to visit the USS Arizona as numbers are limited (pacifichistoricparks.org). Also worth doing is a hike up Diamond Head with its stunning views and military history. Waikiki is stuffed with (very expensive) designer shops – it attracts a lot of visitors from China and Japan – but it’s also possible to find more mainstream shops including all the usual US brands such as Macy’s and Victoria’s Secret. Possibly one of the most romantic islands in the world, Maui has the kind of beaches you’ve probably dreamed of – spectacular surf, ocean the colour of cornflowers and white-gold sand. But it also has the impressive rainforest, which is brilliant for hiking. 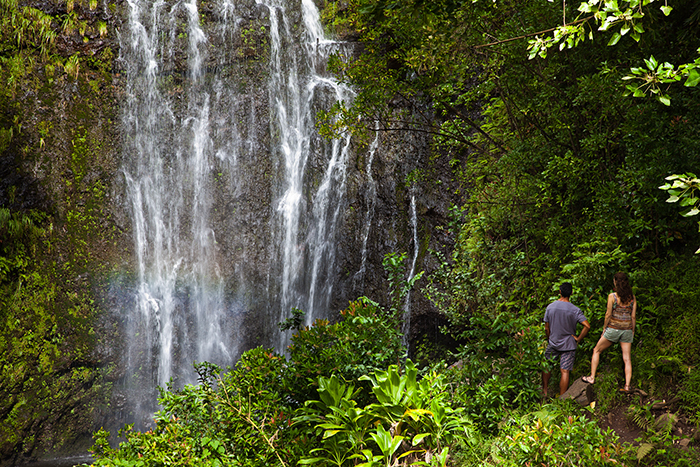 You’ll need around three to four hours – wear your swimsuit and you’ll be able to swim under the waterfalls for that iconic Hawaiian experience (hikemaui.com). And a helicopter ride over the island will give you a fantastic view of the Haleakalã crater, spectacular waterfalls and the glorious coastline (bluehawaiian.com). If the Haleakalã Crater on Maui looks like Mars, parts of the Big Island look like the Moon. Lava rock dominates much of the landscape, giving it an alien appearance; there are also glittering black-sand beaches. It’s worth taking a trip to Hilo, with its charming farmers’ market and cute boutiques, and visiting Rainbow Falls, where the San Joaquin River cascades more than 100 feet at Wailuku River State Park. But most spectacular of all is the Hawaii Volcanoes National Park; on a clear day you’ll be able to see actual eruptions from the active volcanoes Kilauea and Mauna Loa. There’s also a fascinating museum that tells you all about the myths and legends of the volcano, including Pele, the Fire Goddess (hawaiioutdoorguides.com). 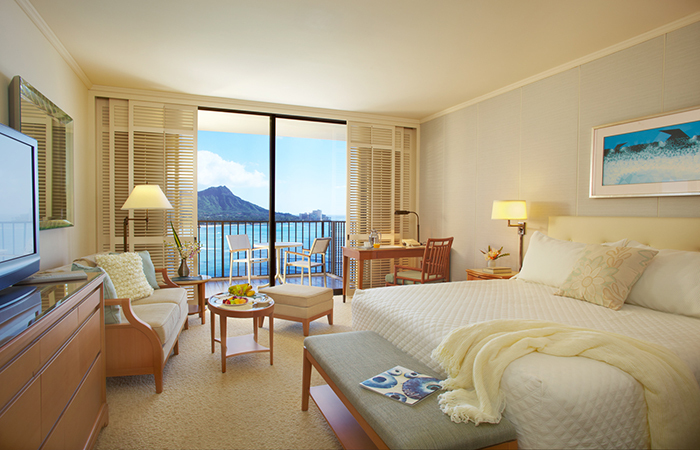 Located right on Waikiki Beach with views towards Diamond Head, and in the optimum position to make the most of those fabulous Hawiian sunrises and sunsets, the Halekulani is the kind of luxury hotel where the service is so excellent and anticipatory you feel instantly welcomed and at home. Nothing is too much trouble for the fantastic staff – they’ll even tidy up your phone charger and leave you a cloth to clean your glasses, as well as a daily memento of your stay. Rooms are beautifully appointed and spacious, beds are incredibly comfortable and the bathrooms stock the hotel’s own range of toiletries (this is a hotel that even has its own brand of bottled water). The pool, with its splendid hibiscus flower pattern design on the bottom and direct access to a quiet cove of the beach, is stunning. There are complimentary refreshments on offer throughout the day and in the evenings there’s a wonderful atmosphere as everyone gathers for cocktails or dinner (the seafood is highly recommended) and to listen to the live band and watch the hula dancing – performed by five former winners of Miss Hawaii, no less. The hotel even runs complimentary local culture classes (including lei-making). 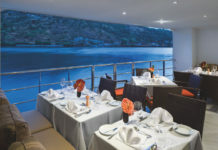 Dinner is highly recommended and breakfast, served at the House Without A Key restaurant or Orchids, both with views of the beach and ocean, are excellent, with plenty of fresh fruit and freshly squeezed juices as well as classic American and Asian dishes. 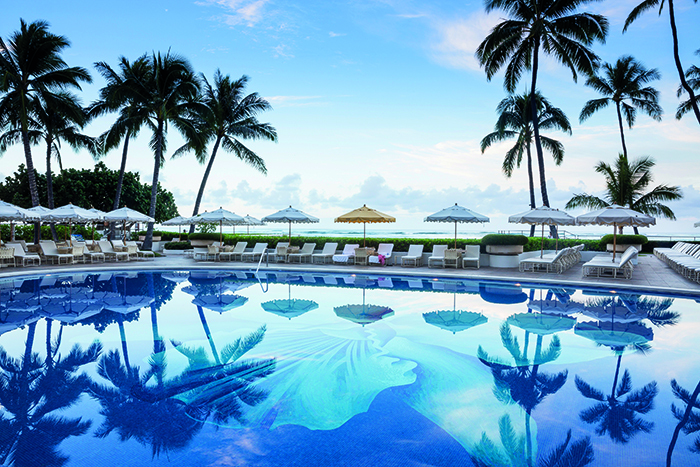 The perfect place to begin your Hawaiian stay-and-cruise adventure. Rooms from $630 a night (+1844 873 9424; halekulani.com). Hawaiian shortbread; kukui nut bead jewellery; Kona coffee; vintage Hawaiian shirts. 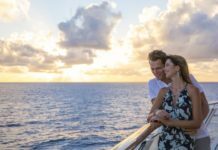 Cruise lines that go here include Princess Cruises; Silversea; Regent Seven Seas Cruises; Oceania Cruises; Holland America Line; Norwegian; P&O Cruises. United Airlines offers a daily nonstop service to San Francisco from London Heathrow, with connections to Honolulu, Hawaii, from £690pp (0845 8444777, united.com). 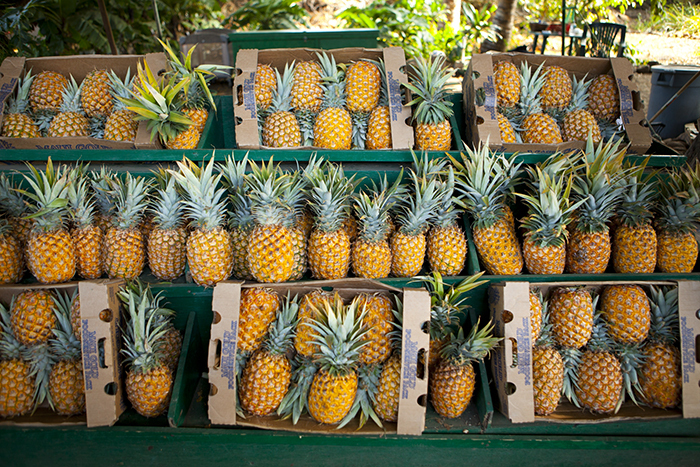 For more information on exploring Hawaii, visit GoHawaii.com/UK. Read about the top five Hawaii cruises here.